Marketing personas are fictional representations of the different segments that make up your ideal customer. You define your specific personas by analyzing your customers – their demographics, behaviors, needs, goals and concerns. By understanding the unique characteristics and needs of these segments, you can structure your web presence – website, blog and social profiles and inbound marketing activities – content, social and search, that will better support the goals of each segment of your prospective buyer. Most businesses sell products and services to multiple customer types. For small businesses, keep it simple when creating your set of marketing personas. Use information you know about your current customer base to establish a basic understanding of your buyer – key demographic information such as age, gender, location, job and the psychographic profile – lifestyle, interests and preferences. Analyze your current customers to understand what motivates them to buy from you and not your competitor. Analyze the type of visitor you see coming to your website, where they spend time and what actions they take. Write a story about each segment based on your experiences that describes their needs, goals and concerns. Blog content – What are the questions and concerns that each persona has that your business solves? Use this information to develop a list of blog topics that turns you into the expert that your ideal client will go to for answers. Website navigation – Use the information from your personas to speak to your visitors directly with messages that are meaningful to their needs, guiding them through your website. When your visitor sees that you understand their needs, they will follow the path you set for them. At each step of the way, include the appropriate call-to-action that will take them to the next step in developing that important relationship with you and your business. Website content – Once you have the navigation paths established for your various personas, now you can write the content that will appeal to their needs. Knowing what your ideal client needs enables you to write content about your products and services that doesn’t sell but educates your visitor. Call to Action Offers – Knowing what your target audience needs help with allows you to create an offer that helps them solve this problem. Put this offer behind a form and generate leads for you, helping both your target market and your business in the process. Search Engine Optimization – Defining marketing personas helps you understand how your target market searches for solutions and therefore, helps you determine what important keyword phrases you should be using to optimize your site. Content curation – In addition to you providing relevant content via your website and blog, you can focus your selection of quality content to post on your social sites, helping your audience get the information they need without having to search for it. This adds to your value and keeps you visible as an expert resource. By understanding more about your ideal client, you can make better decisions on your marketing activities. Something as simple as adjusting your service hours to accommodate their schedules, adding solutions to their most pressing issues or making sure you deliver your content in the form that they prefer, can increase your value in the their eyes. 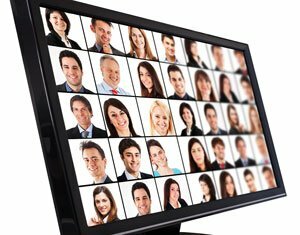 How can you use marketing personas to gain more visibility with your target audience? 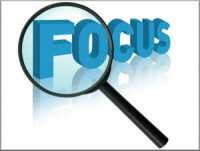 Small Business Marketing - Where to Focus?